From my other "beauty" posts, I think it's kind of evident that I'm very much into healthy beauty. 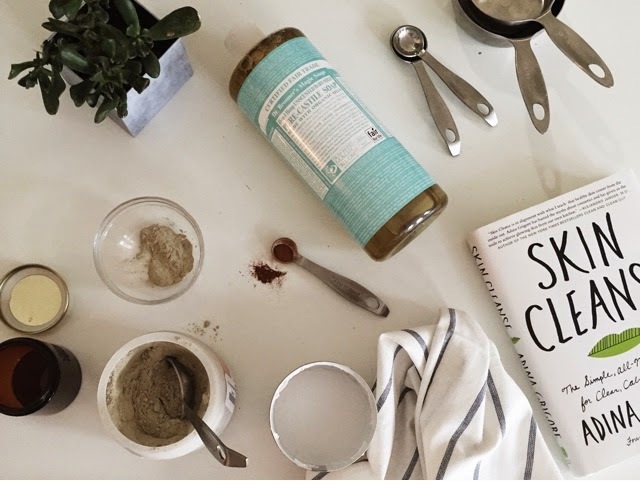 So much so, I've been kind of obsessed with trying the beauty recipes from the book Skin Cleanse, by Adina Grigore. 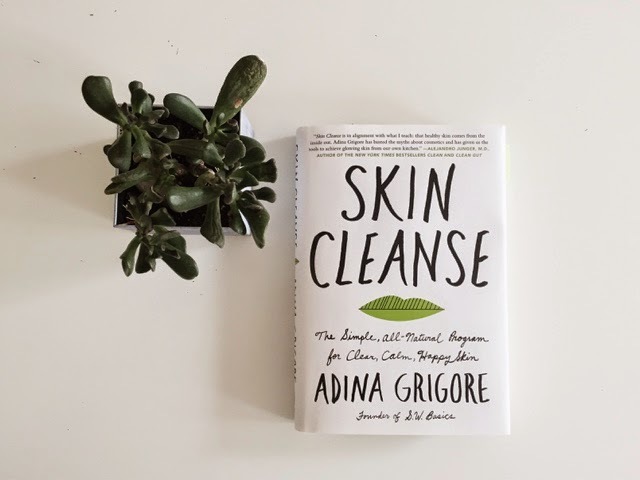 Adina is the founder of healthy beauty brand S.W. 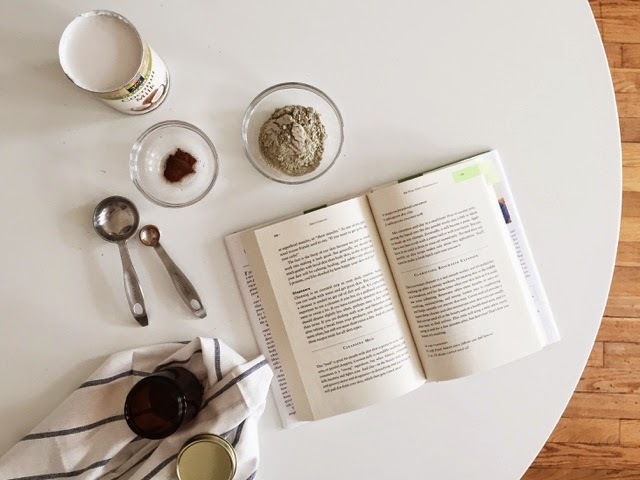 Basics and in her book she shares amazing tips (like "your diet is the most essential tool you have to getting great skin") and recipes for a natural skin care routine. 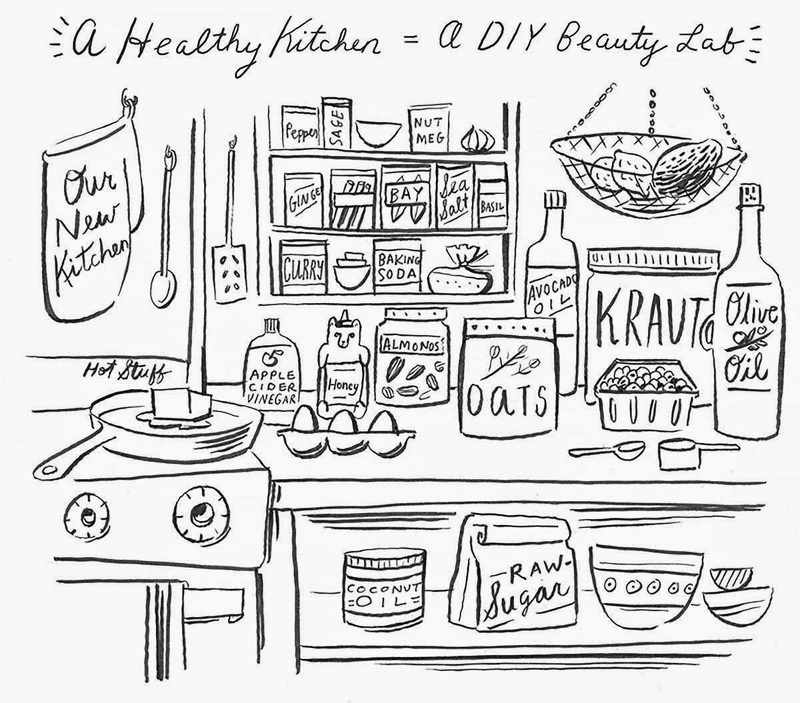 The illustration above pretty much sums up Adina's beliefs: a healthy kitchen equals a DIY beauty lab. You can find most of the ingredients for her recipes in your pantry! So, after I finished reading her book, I started "cooking"! Here are my two favorite recipes so far. Mix cinnamon and clay in a small bowl. Pour in coconut milk, stirring the liquid into the dry powder evenly. Eventually, it will become a paste. Apply like a wet face scrub. Mix together all three ingredients, stirring gently to stop mixture from foaming. Yes! I just made the face wash and my face feels squeaky clean! ok, that's it, getting this book pronto.